Joking of Course! » Blog Archive » GM, Chrysler, Ford: The Bailout. Coming this January. 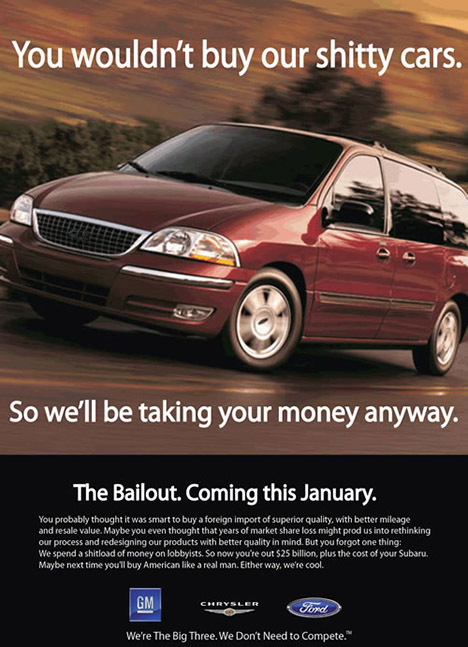 GM, Chrysler, Ford: The Bailout. Coming this January.